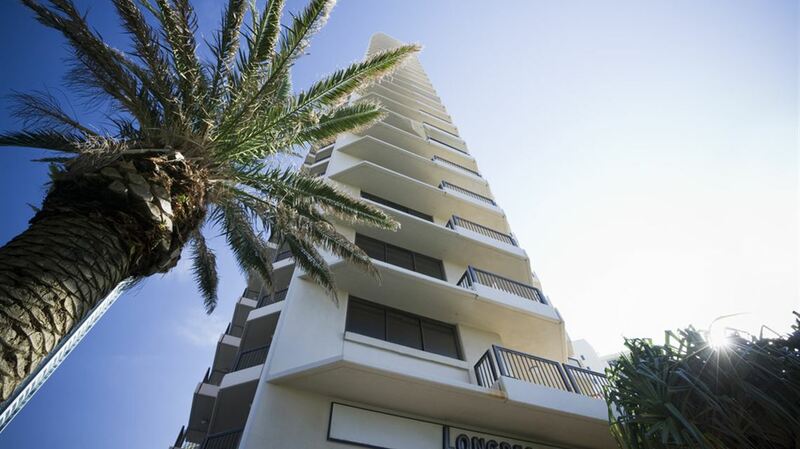 Welcome to BreakFree Longbeach, located central to everything you need for your holiday apartments on the Gold Coast. 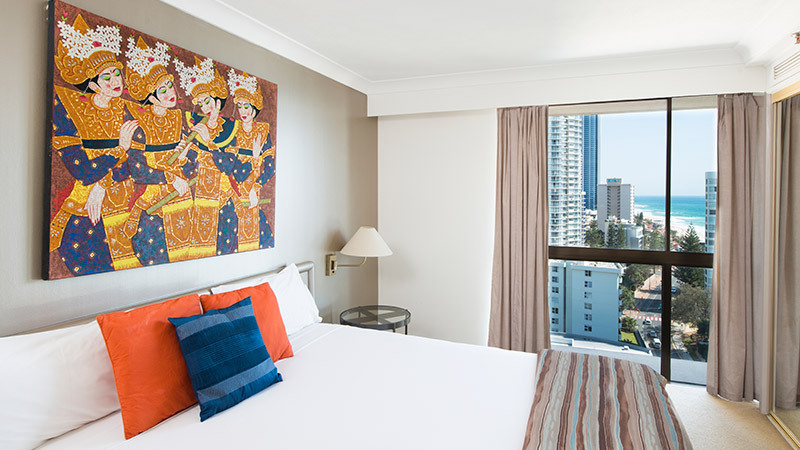 With unbelievable views across the ocean and the Gold Coast from most apartments, our resort offers great value accommodation and resort facilities ideal for families, couples and groups. Your room choices include standard 1, 2 and 3 bedroom apartments. No matter which apartment type you choose you’ll enjoy a large balcony to take in the view, cable TV, full kitchen and laundry facilities, along with an in-room safe. The kids will have a great time in the wading pool and for everyone there are two resort pools (indoor is heated), a sauna, spa, tennis court and gymnasium. An easy walk will also have you at one of the best known stretches of coastline in Australia. When you're not lazing on the beach or enjoying a game of tennis, the action of Surfers Paradise's main shopping and dining precinct, Cavill Avenue is an easy walk away. 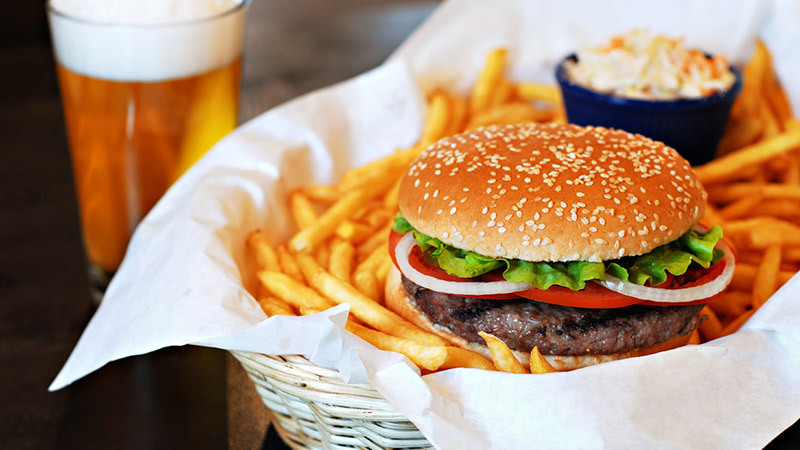 Alternatively, take advantage of our tour booking service and organise a trip to one of the Gold Coast's theme parks. At BreakFree Longbeach you can keep your options open with a myriad of experiences around every corner. Please be advised that only one car space per unit is permitted. Under no circumstances are you allowed to park any type of recreational vehicle (eg: Jetskis/boats/trailers/caravans) at the Resort. So much to see and do. 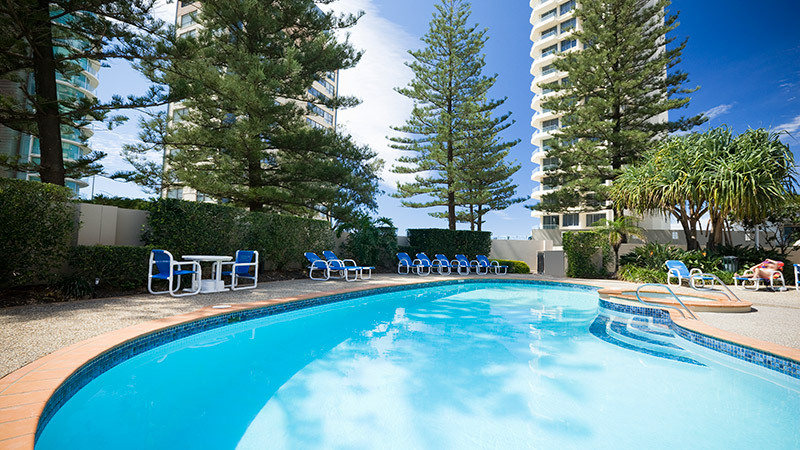 Staying at BreakFree Longbeach you can enjoy everything about Surfers Paradise. 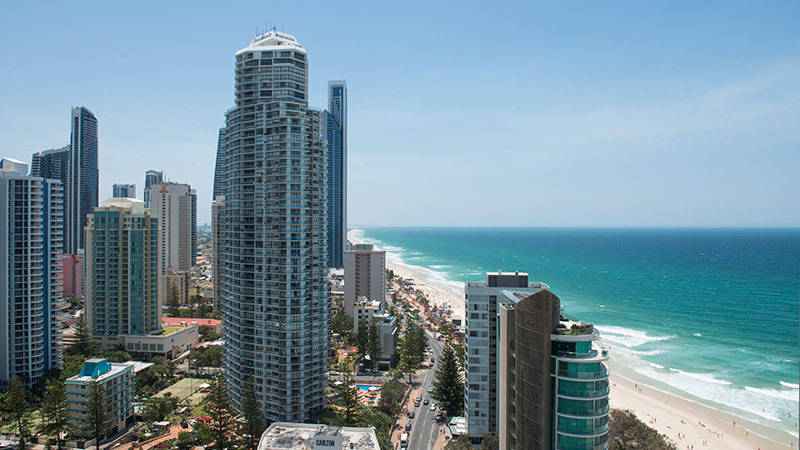 Eating out, shopping, lazing on the beach, visiting theme parks or hitting the clubs are all options on your Surfers Paradise holiday.